All specialists on the Vietnam War are likely well aware of the involvement in the conflict played by the RAND Corporation, the California based think-tank closely tied to the defense and intelligence establishments in Washington, D.C. Many, if not most, have also made use of some of RAND’s documents in their own research. Recently, however, RAND has experienced something of resurgence in Vietnam War studies. Several books about the Vietnam War have made extensive use of RAND documentation to attempt to reconstruct the history of the American war from the ground up. David Elliott’s unparalleled The Vietnamese War: Revolution and Social Change in the Mekong Delta, 1930-1975 draws on the author’s own extensive work for RAND during the war and the extensive collection of interviews conducted by analysts and employees of RAND. (David Elliott, as several of the reviewers here note, is the husband of Mai Elliott, who also worked for RAND during the war). David Hunt’s Vietnam’s Southern Revolution: From Peasant Insurrection to Total War relies heavily on the interviews conducted by RAND employees, and his appendix, “The Uses of a Source,” is a very helpful starting point for scholars new to the documents and seeking to understand the complex context within which they were collected. Just over a decade ago, in the wake of the Soviet Union’s collapse and the sudden revelation of new documents from the former communist countries, Cold War scholars were particularly keen to de-center their studies. By this, they meant internationalizing what they did, shifting the focus away from Washington, and not only exploring what went on behind the Iron Curtain in more archival detail but also developing a “pericentric framework” to highlight the importance of smaller powers in the Cold War international system. At the same time, historians working on specifically American topics had already begun to de-center their own work, looking less at the perceptions, motivations, and actions of the leaders in the White House, State Department, and Pentagon, and more at issues of race, class, and gender. 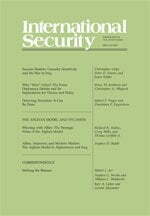 Almost without exception, students of security policy are not only analysts and proponents of abstract theories, they are also deeply concerned with issues of contemporary international politics and have strong policy preferences. There are likely to be connections here, and it is by no means obvious that the latter are subservient to the former. 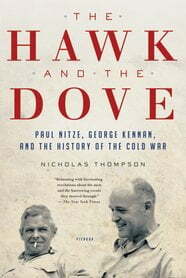 With all due respect to Kenneth Waltz, very few of us became drawn to international politics by reading his books. I doubt if I was atypical in becoming interested because of the events that were occurring when I was growing up and in being fairly quick to develop my own opinions, as ill-grounded as they were. By the time I was exposed to serious academic work, let alone starting to publish, my views about American foreign policy and a general political outlook were well established. In setting up his analysis here, John Schuessler refers to one of the arguments Dan Reiter and Allan Stam make in their book Democracies at War. Democracies, those authors claim, “produce better estimates of the probability of victory than their autocratic counterparts do,” and they do so in large part because in democracies these issues are argued out in public.